Being a mom for the first time, is the best experience in the world, but as it said the grass is always greener on the other side. Being a mother for first time has its ups and down, especially during winter. 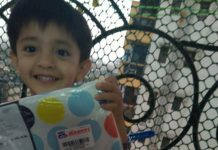 Let me tell you-I was really irritated, when my toddler started walking because he used to dirty all his clothes in an hours’ time, image changing and washing the clothes every day is very hectic. The worst part was washing his woolens everyday his woolens lost all the warmth, the colors looked faded and were not soft. I almost tried every detergent, that would make his woolens soft & colorful, but all in vain. Meanwhile my mother came for a visit and saw my babies ruined woolen, she yelled at me are you dumb, what are you using for his clothes? You know how moms are with no time -she introduced me and told me about Godrej Ezee detergent that is specially crafted for woolen & has used it for ages, and told me it’s a trusted brand world-wide and is popular among all mothers and laundry people as Godrej Ezee has pH-neutral liquid detergent with ‘Zero Soda’ formula that cleans gently, it has it’s in-built fabric conditioner system that leaves your woolens with a pleasant aroma- every time. It’s 5x Safer than normal detergent .Best part is it is -Approved by Woolmark company & Prevents shrinking and maintains shine. 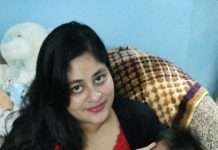 I was very keen in using Godrej Ezee and see the difference ,so next day I tried Godrej Ezee -After using it for the first time I was surprised to see the result ,Godrej Ezee really works wonder on woolens clothes. After the wash ,I noticed that there was a mild pleasant fragrance ,the detergent is very mild and safe on woolen clothes, leaving them look fresh and new ,with no shrinking .Leaving the texture soft as ever. The detergent does not need harsh scrubbing, it knows it job very well.It’s a life saver product for all the mom’s ,who are scared to wash their child woolens .I’m now not scared to send my kid to parties or outdoor activities as I have ezee and I trust it completely. Now I know,why it is said Mothers knows all-because they really know everything ,as our moms are perfect ,I would say Godrej Ezee is the perfect choice for all,and as my mother said-This winter ‘Ragdo Mat, Take it Ezee‘. The packing is quite trendy and friendly in shades of blue color ,it comes in plastic bottle with a handle,that makes it easy to hold ,with a measuring cap ,so while using the product the ,one does not have to face any hassle.It’s a travel friendly pack. Approved by Woolmark company for washing of woolen apparels. No harsh chemicals-like Soda . Prevents shrinking & maintains shine. Keep the woolen soft as ever. 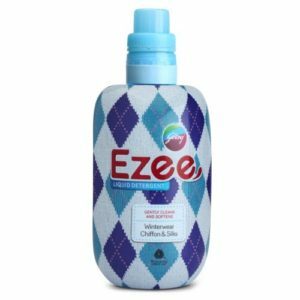 Final Verdit– RAGDO MAT, Take it Ezee with Godrej Ezee for your little ones woolens to keep them new wash after wash,without any shrinking or color loss,ezee to use ,ezee to choose ,ezee on pocket. In other words,no more scolding ,let your little ones enjoy the awesome weather because we have Godrej Ezee for ezee wash.